Happy Birthday America. Can’t quite celebrate properly here at the English summer camp where I am working at in the outskirts of Madrid, but there’s no way to stop the celebratory vibes coming over across the pond. I was thinking what would be the perfect birthday song to recognize so many years, and other than Marilyn Monroe singing “Happy Birthday,” I don’t think this jam can be topped. 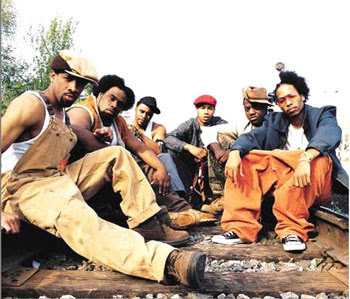 Kentucky’s finest, Nappy Roots have been making quality rap for almost a decade now, mixing in the different personalities and flows of their members as smoothly as a strawberry-lemon slushie at Sonic’s. Adding a serious heaping of love for family and food, and a generous mix-in of an intense joie de vivre, Nappy Roots’ music often feels as good as it sounds. “Awnaw” first came out when I was in 8th grade, and is a remembrance of both the good and bad times as well as an appreciation of the long road that the group had to take so that people like you and I would be listening, and jamming, to their music. Just like the 4th is a day to celebrate where the US has come from (acknowledging the good and the bad), it’s also the perfect time to let loose with, while appreciating, those you love. So wherever you are, wherever you’re from, put this one on loud and celebrate _________ (your life here).